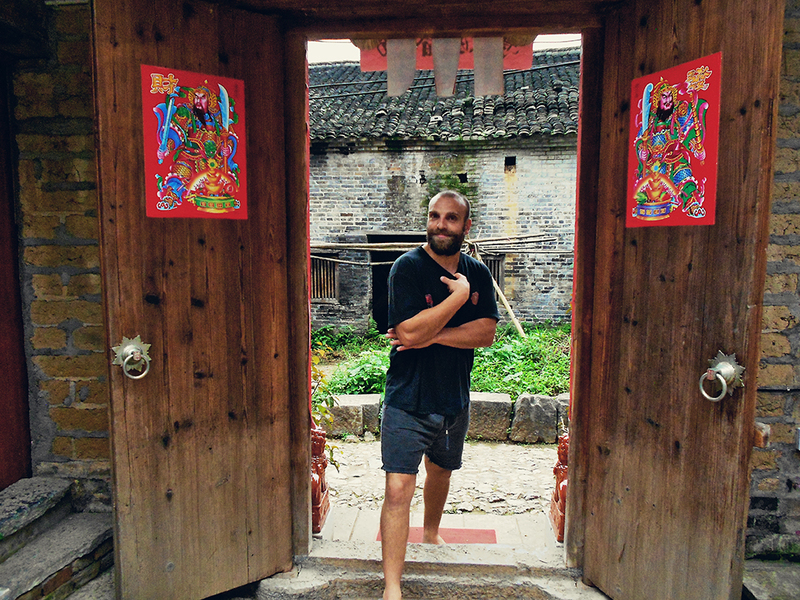 My trip to China marked the first time I have made an active choice to have a holiday that focused on sustainable accommodation choices. 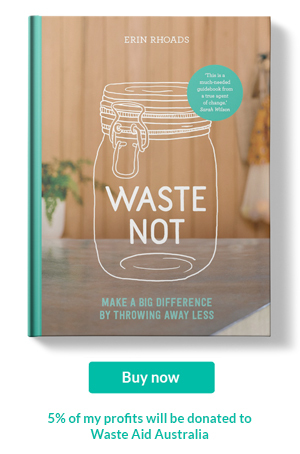 This was my second adventure going plastic free and waste free abroad. Travelling in Myanmar was harder. Probably because it was the first time I attempted such a feat and did so in a developing country. But many of the lessons I learned there (and here at home) were carried into the planning of this trip. 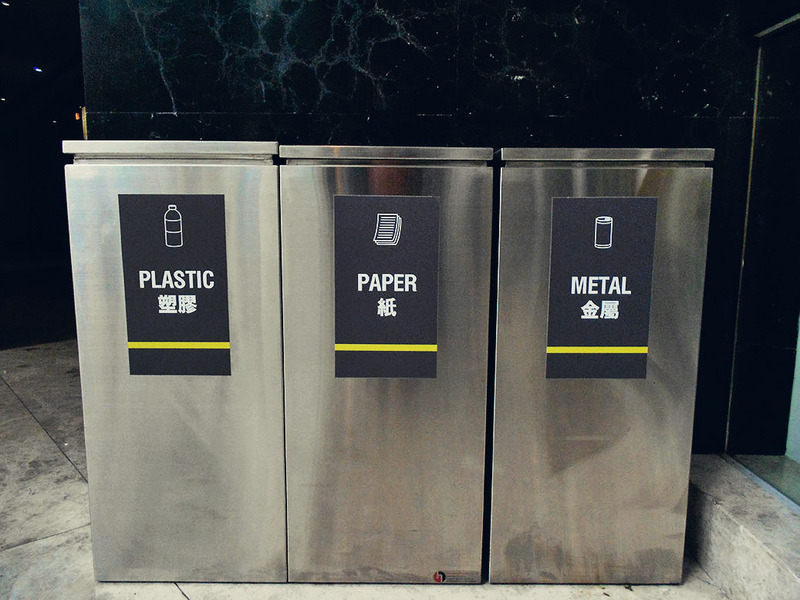 There are more options to recycle in China than Myanmar which was helpful as we encountered plastic. The builder had his clothes dry cleaned (before I got there...) and every item was wrapped in plastic! 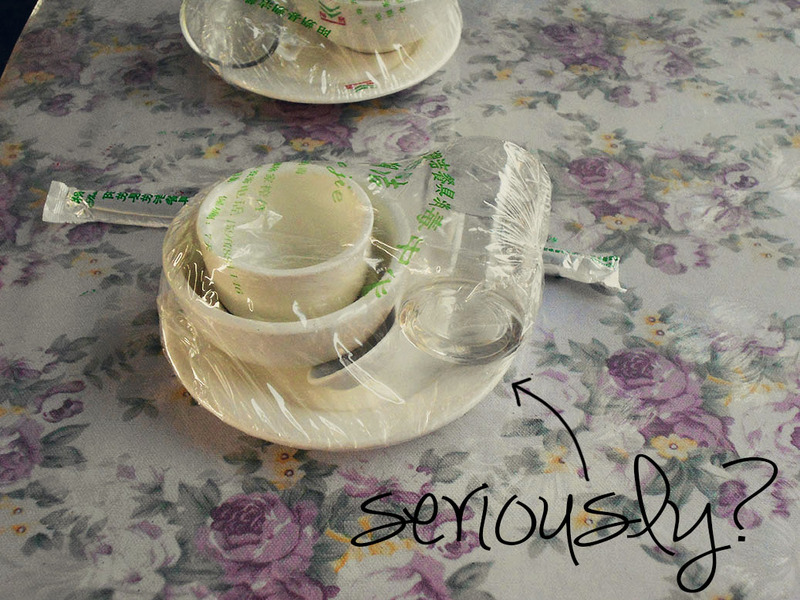 A lovely lady offered the last of her local treats and we were left with the plastic packaging. And there was a required poncho (it rained and rained!). We had intended to carry all the plastic back to Australia to recycle but we were informed that we could recycle it all when we arrived in Hong Kong. Apart from these items we were able to easily avoid plastic and all other unnecessary waste to enjoy a fantastic holiday with comfortable sustainable accommodation in China. 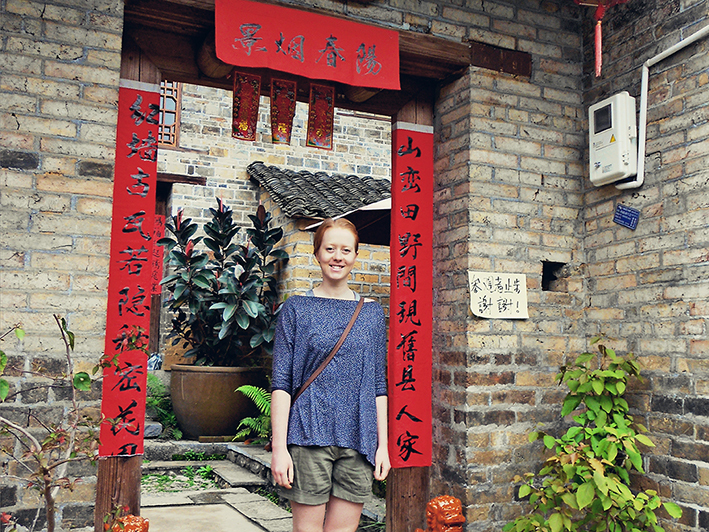 Researching to find eco accommodation was not easy in mainland China. It was not that China did not have the green options. They did. 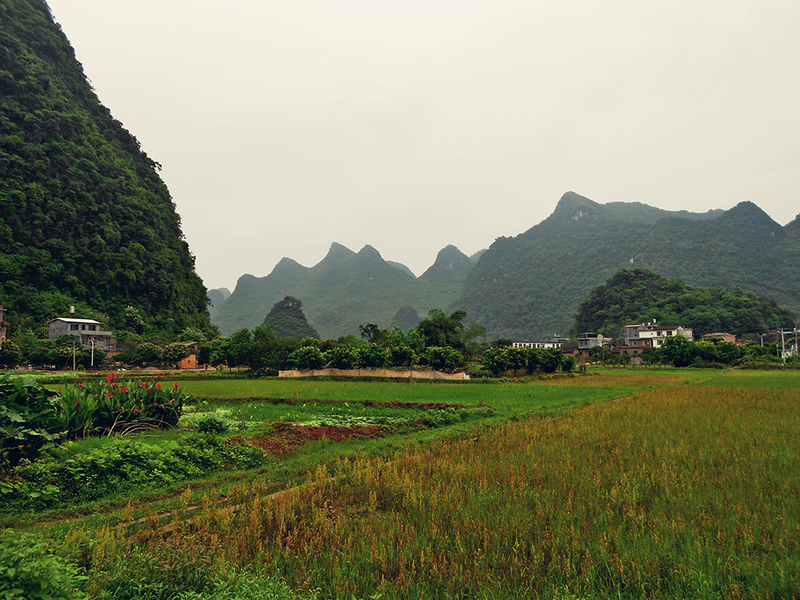 But for any traveller that favours a greener eco abode to call home (when away) they were few and far between, especially in a rural setting like Yangshuo. 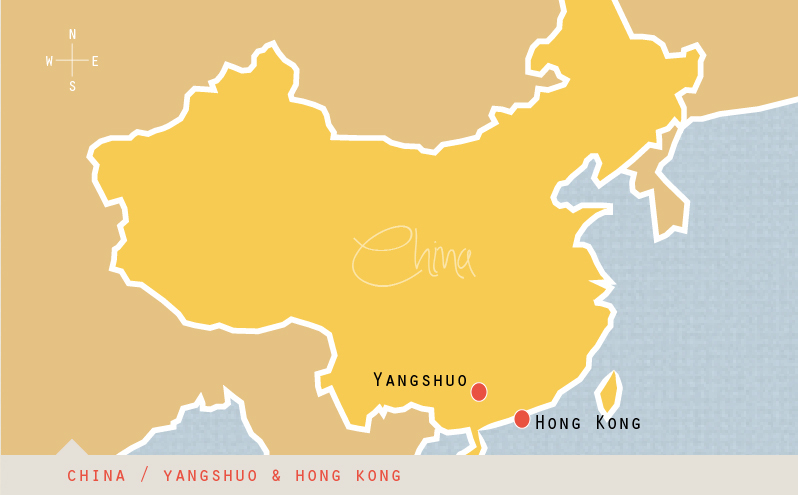 I was blindly typing into google the words eco, accommodation and Yangshuo. With the first eco response booked out I felt a little panicked. My definition of eco accommodation was narrow minded and needed expanding. I broke down what eco accommodation meant to me and stopped hunting for dwellings that only had the word eco, green or sustainable in their title or tagline. The The Secret Garden embodies many eco credentials that I overlooked in my original search. 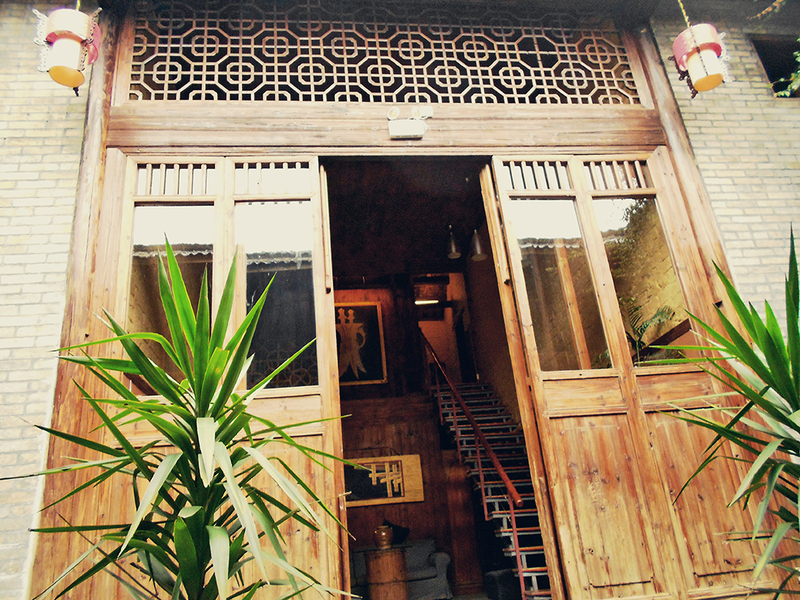 The hotel is outside the main city of Yangshuo in the ancient village of Jiuxian. What makes this place a sustainable choice was that it preserved an old building rather than knock down and rebuild. Local timber and stone was reused, harnessing the skills of craftsman to carry on local building traditions while incorporating foreign sustainable building elements too. This was done to carry out the least impact on surrounding environments and enrich the community. A reed bed and lily ponds are also in use for waste. 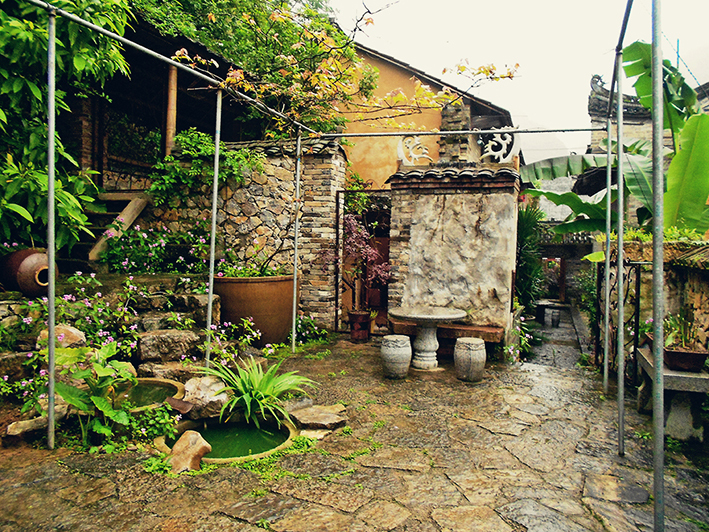 The name is fitting for the boutique hotel as there are many gardens filled with native plants. It is a wonderful oasis set among farms that has a delightful casual restaurant attached sourcing only local ingredients for their nourishing meals. I did not have to boil my water on this trip like I did every night in Myanmar. Instead the hotel had water coolers so we could refill our water bottles. This was great for the long bike rides we enjoyed. Bikes were supplied by the hotel and offered us the best eco transport to get around the Yangshuo county. Finding an eco-savvy hotel in Hong Kong was a breeze. Eaton Hotel came up time and time again, and once I read the website I knew Eaton wold meet our needs. I actually stayed here in 2008, before the eco renovation. The hotel has made profound changes that resulted in them winning the Best Eco Hotel in Hong Kong by HotelClub in 2012. Our room has not one but TWO recycling bins. The hotel also had recycling bins in the public areas. There was no excuse to not recycle here. Glass refillable bottles sat in place of standard plastic bottles and were refilled with filtered water each day. It might seem like such a small thing to become ecstatic about but when you think about how many rooms a hotel has and then the plastic water bottles in each room…well it is staggering how many ‘complimentary’ bottles were being saved at Eaton Hotel. While we took our own products we saw room amenities refilled rather than tossed out. 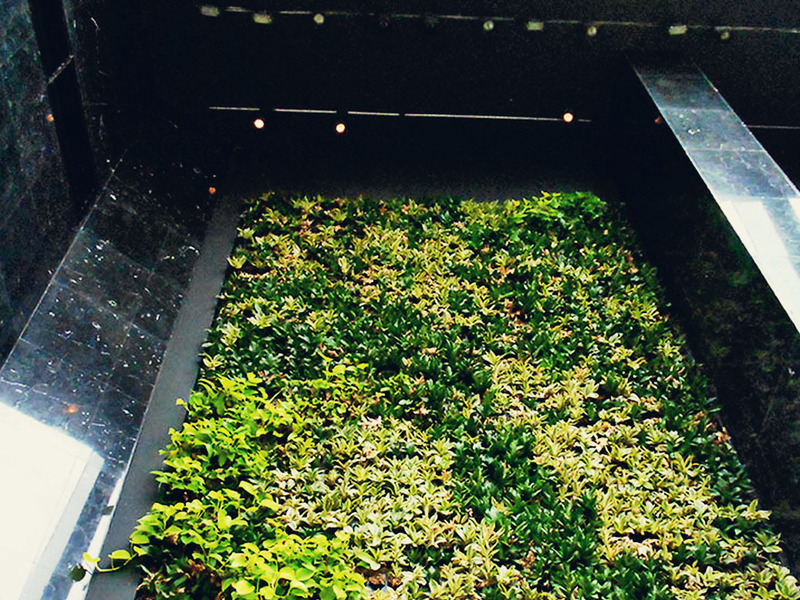 The lobby housed a green living wall creating an efficient and healthy air cleansing system. The builder was inspired and wants to put one into his next build. There was also a lot of natural light throughout the hotel making lights unnecessary during the day. They also work to provide sustainable food and donate foodstuff to organisations for those in need to lessen food wastage. Try places like Airbnb or camping. 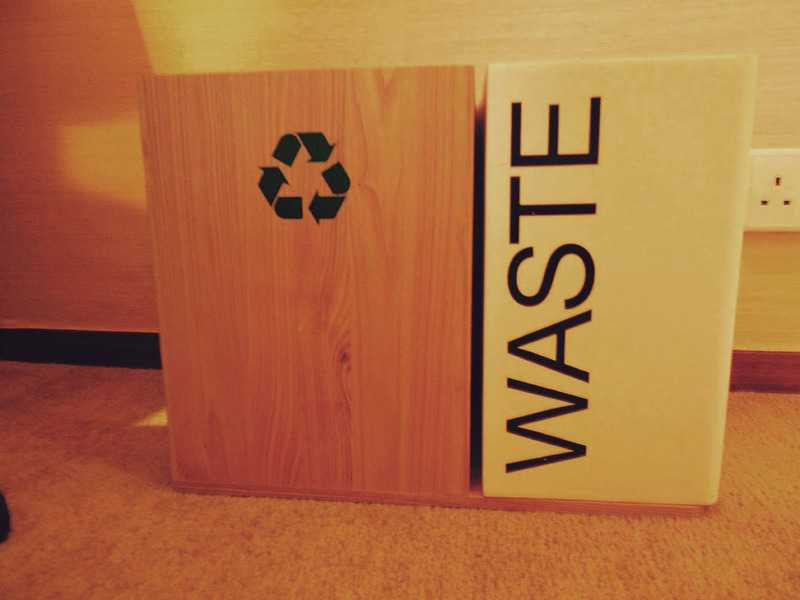 Both offer great ways to lower your impact.